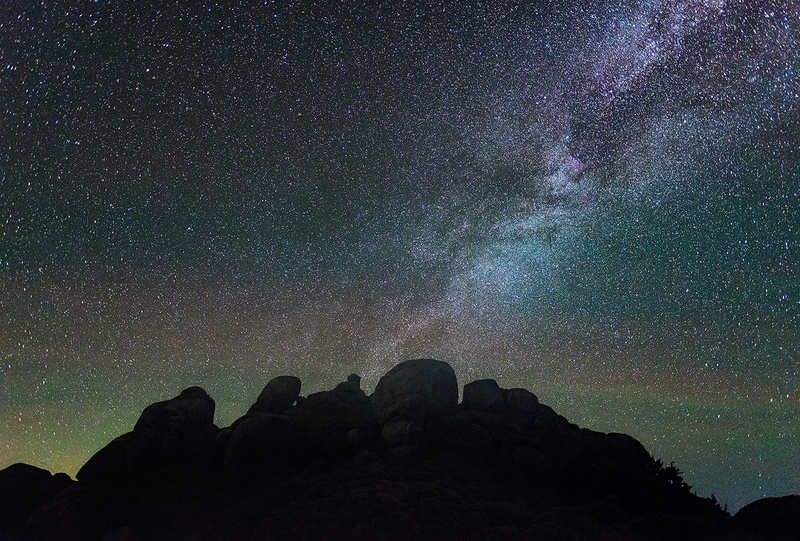 … as a landscape photographer. After having visited Japan two times in 2006 and 2008, I had not been in Japan for 9 years before travelling to the southern islands Kyushu and Yakushima this year. Whilst I polished my Japanese and had scouted a lot, I didn’t quite know what to expect travelling through the country for 16 days, this time without one of my local friends, but with fellow photographer Philipp Lutz, who also speaks a bit of Japanese. I hadn’t been to the southern islands and usually, no matter if backpacking or road tripping, there are some practical things that you just can’t plan, or know, beforehand. So here are some things that struck me while travelling from location to location during my landscape photography trip. This was really nothing new to me, as I already had made my experiences during my past stays, gathering that it’s difficult to find someone who speaks, or rather wants to speak, English with you outside of the major cities or urban regions – and even there it was difficult. This time around I noticed that not even the airport officials at the immigration or toll did speak English, in Tokyo that is, not Kagoshima – my final destination. So I had to explain in Japanese that I did not have an address where I would be staying, since Phil and I planned to be on the move all the time. Without speaking Japanese I might have gotten in to trouble. I wonder how all the other tourists would solve a problem like this. When we got to a car rental it was the same thing. Again I wouldn’t want to imagine how difficult it might be to get a car without speaking the language. The further we got into the country side the less English was spoken – so yeah, none at all. 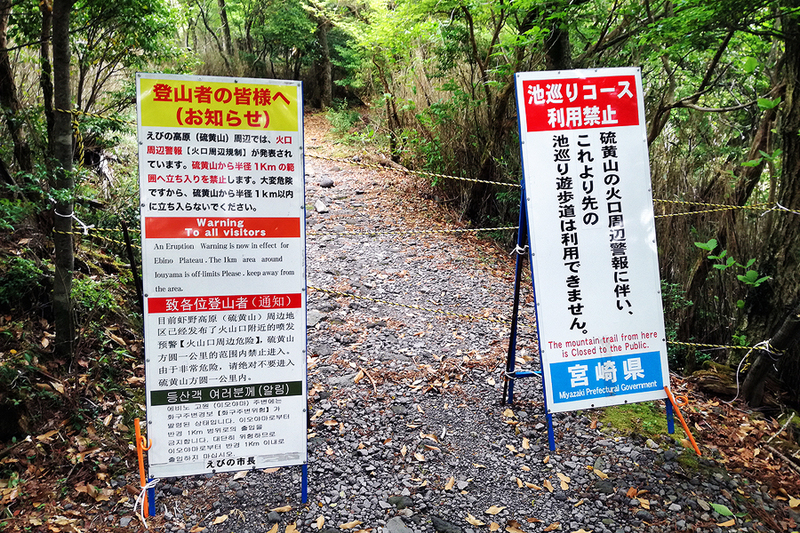 The only exceptions we found was a tourist information center on Yakushima. Whilst I was staying in Kyoto, Nara and Osaka in 2006 and 2008 I was under the impression that the young generation at least was slowly but surely adapting to the internationalism and opening up to the idea of learning English. Now I think I have to reconsider. For landscape photography usually you need to travel into the countryside. 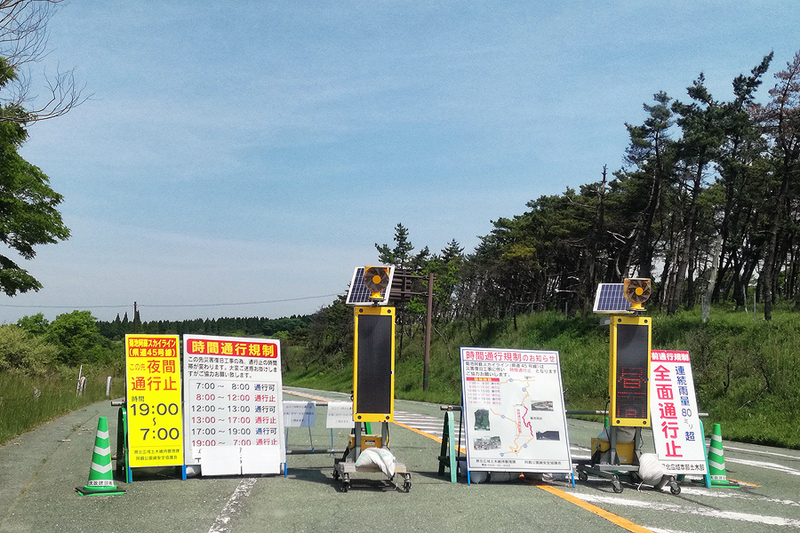 On the very mountainous island Kyushu this means driving single lane mountain roads in horrendous conditions for quite long stretches of time to get to a certain spot. Often the locals think there is no one else driving along those roads, meaning that you have to be extremely cautious of cars not adhering to speed limits at all – on a single lane road. A road closed during certain hours of the day and completely shut down at night. This makes more sense taking into consideration that the regular speed limit is either 40 or 50kmh and only 80kmh on freeways. But not a single local seems to take notice. As a tourist you may not know where the speed cameras are however, so if you stick to the limits it really slows down your progress. A couple of kilometers can take ages, even if you’re not driving 30kmh on a one lane mountain road, because even on a normal road you can’t go much faster. Of course unless your a giant truck and go with 130kmh and hour which is even illegal in Germany which we encountered a couple of times in awe. On top of the difficult road situations, the frequent earthquakes add to the already slow getting around. Many times Phil and I encountered closed roads and closed paths with signs revealing that due to „natural disaster“ i.e. earthquakes there was no passage. As a consequence we weren’t able to reach about a quarter of spots at all and had to take detours quite a few times, because our navigation system already warned us that a certain route was currently impassable. 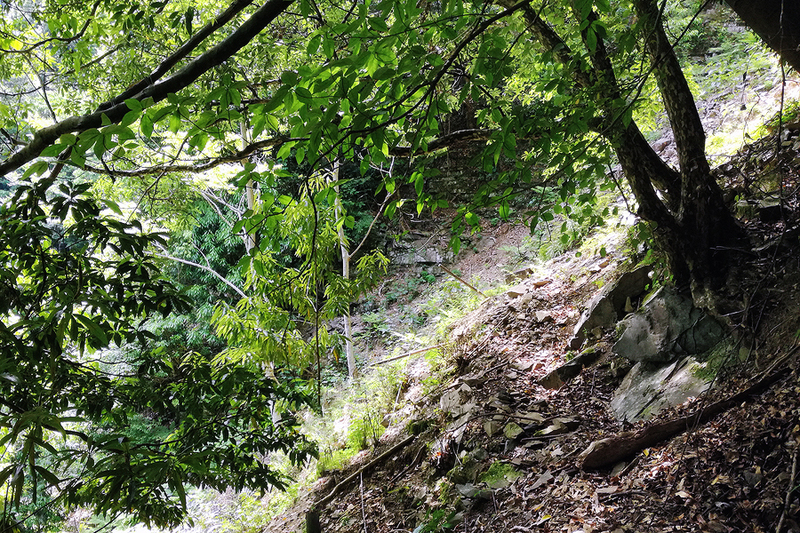 Left: an intraversable hiking trail after an earthquake, due to the ever more steep slopes and lose ground we continued no further. Right: A mountain path leading to an interesting geyser and geothermal area which was closed due to strong recent (2012(?)) activity. 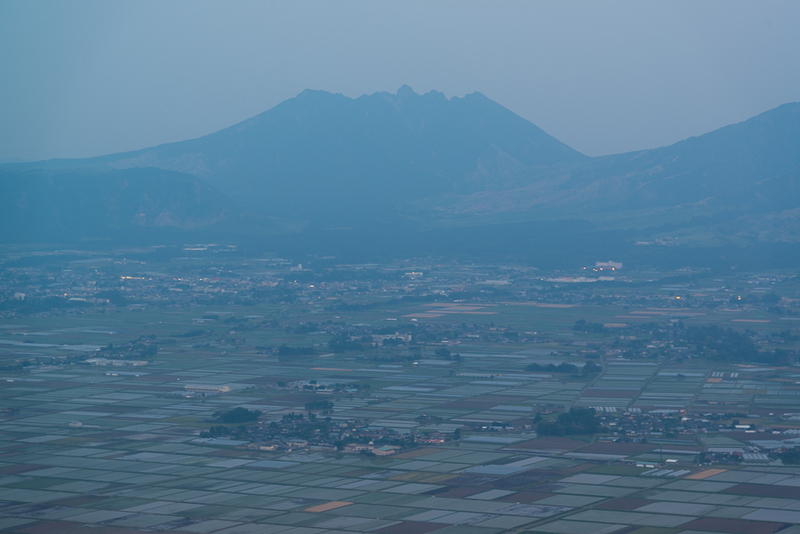 … the landscapes where dissembled by massive amounts of haze. While I was used to this from my stay in summer 2008 after the rainy season, Phil and I were still puzzled by what exactly the haze consists of though since it is just so thick. It can’t just be water drops, pollen and particulate matter that accumulates within hours and stays for days on end with the air not moving. Mt. Aso’s little neighbors the Kuju mountains before the „blue hour“ set in. On the light side I can say that the food is the best in the world – and I don’t mean Sushi, I didn’t eat any during our stay. I mean literally everything else. Eating is what kept my spirits high most of the time when photography just was not an option. 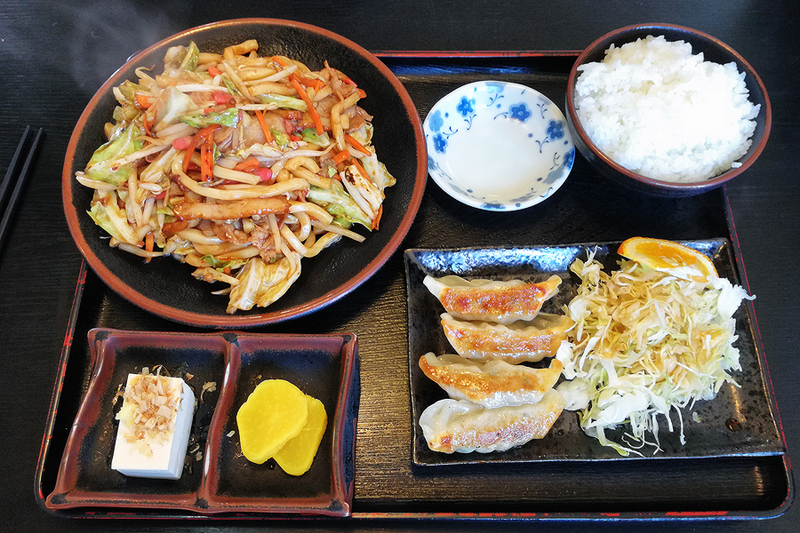 No matter if you eat Gyudon in a Teshoku store (something along the lines of fast food restaurant) or buy a Bento (take out food) in a supermarket of convenience store, it’s absolutely superb and dead cheap. You can easily get your stomach filled for 5€ without missing a thing. Variety is also given in abundance. I found that food slowly became more and more of the focus of the trip as weather got worse. While this was nothing really new to me, it just captivated me again and again, each time we stopped to get our stomachs filled up. 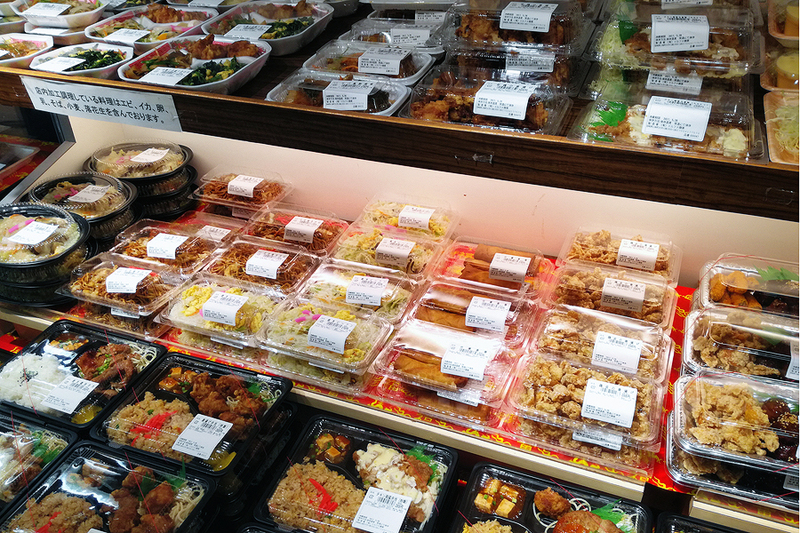 No matter if restaurant or supermarket, the food in Japan is exquisite and always keeps you in shape for the next landscape shot to take. Due to various cultural matters that I don’t want to get into here much of the Japanese daily live is shaped in a way that makes it more convenient. One of the most important things for road tripping is infrastructure for food and gas. The density of so called „Kombini“ (convenience stores with almost 24h opening times) and gas stations is very high, so getting food and gas is never out of the way, unless you’re trying to get of the grid. 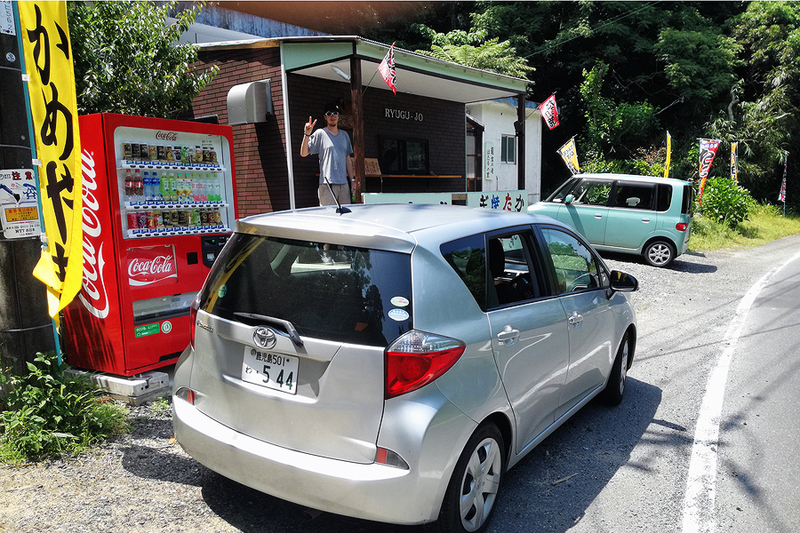 But even if you are, a cold drink or a hot coffee is never far away since there are vending machines literally everywhere, even at the end of a 25 kilometer single lane mountain road. Here’s an example of a Japanese vending machine at the roadside on the western shore of Yakushima, shot while waiting for tasty Takoyaki and Gyoza from this small take out next to the beach. 8. No tourism or mass tourism? Interestingly enough, the local tourism seems to be a dichotomy. Some places we’ve visited where overrun and looked like Iceland during summer. Other places were absolutely abandoned and we were the only car in a car park designed for a hundred cars. The same can be said about the trails. 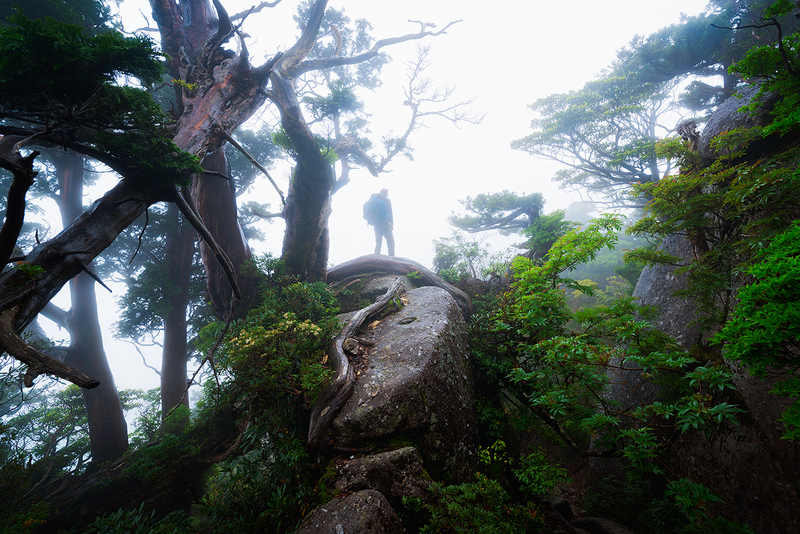 While hiking on Yakushima we hiked on trails and encountered several guided groups and other wanderers almost any other minute, then on other’s we didn’t meet a single person for hours on end. It seems that the tourism agencies don’t really do their job, or they do their job too good depending on where you are. Weirdly enough we found street signs to a specific waterfall still on one of the major roads in a town 40km away from the destination and were wondering: „this spot has to be completely overrun“, only to find ourselves as the only people at the spot after driving the 40km on a single lane mountain road. We assume that no one in their right mind would drive that far just for a waterfall. But then again, why build a giant car park at the end and a signs in 40kms distance? 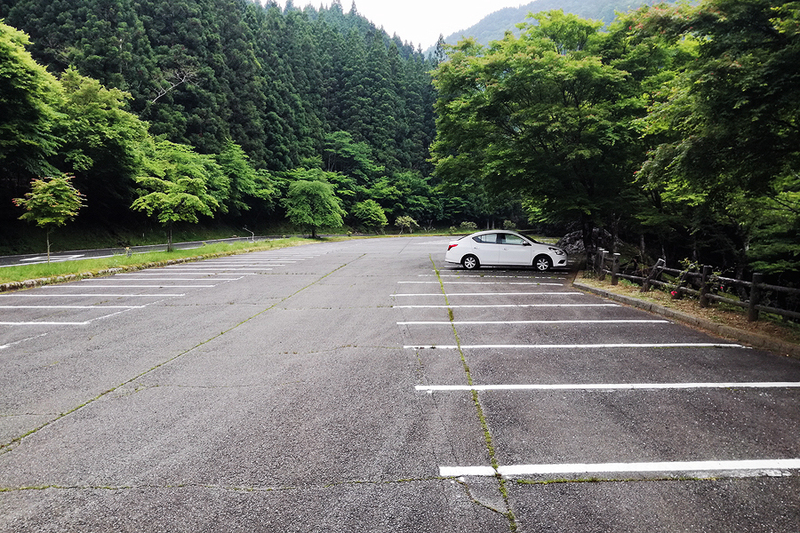 Left: The car park for apparently Japan’s 2nd highest waterfall, where Phil and I were the only people let alone for an old local living alone in the abandoned facilities. Right: The waterfall Nabegataki which was regulated by park officials, had an entrance where you have to pay and even opening times which made it impossible to shoot in blue hour or at sundown. Not to mention it was quite busy during the day. Something that came as no surprise is that we’ve encountered so much exotic seeming animals without even looking for them. 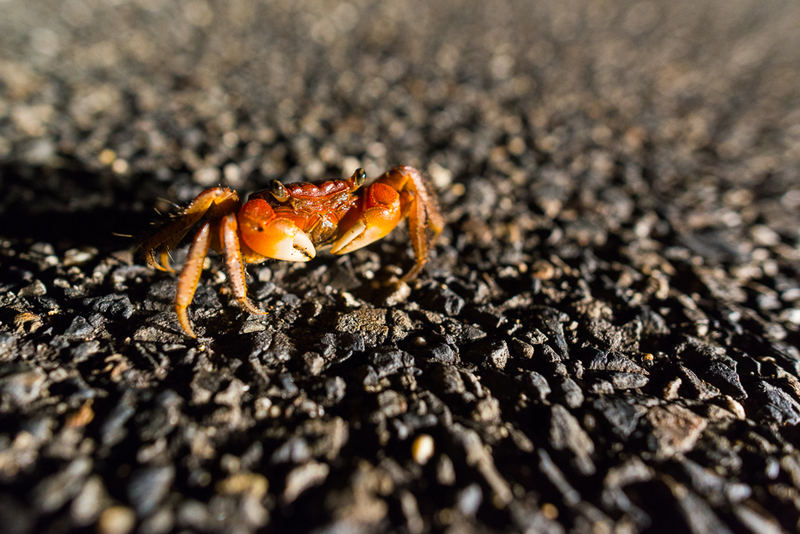 Monkeys, sea eagles, flying fish, snakes, deer and even crabs strolling around on the streets and forests would’ve been a wildlifer’s dream. 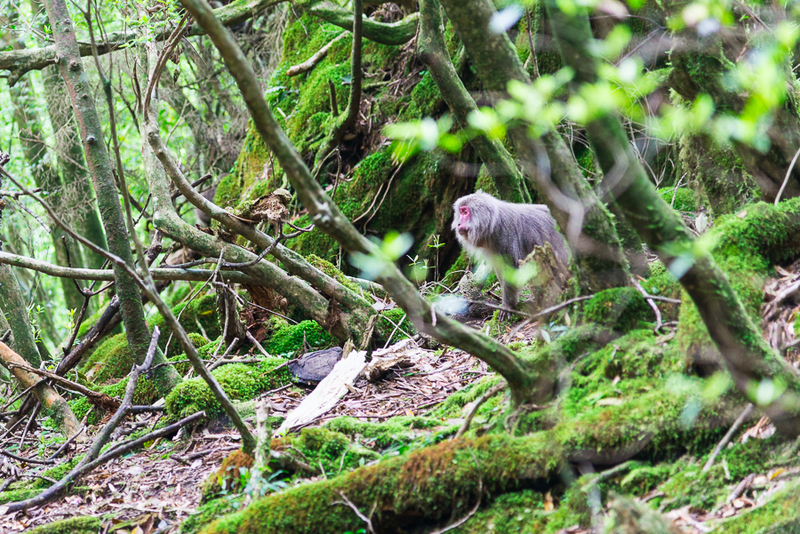 Especially on Yakushima because the island isn’t home to a single large predator the fauna doesn’t have a high flight initiation distance and can easily be observed. Had I gotten a tele lens I would’ve been able to reel in some terrific wildlife shots. You often read that the locals of this, that or the other country are the most open and welcoming, but I would assume that in Japan it might be more true than in other place. While we had some not so open encounters (a rental car owner who told us he had no cars to rent to us even though the isle was completely stacked), most people were absolutely friendly and, after noticing that we spoke their language, wanted to engage in conversation, take a selfie or tried to entertain us with an interesting story. During our hiking tours we also were given food several times, in case we may need it. On another occasion a young woman with her child helped us to find a specific medicine and guided us around town to a pharmacy that had what was needed all the while asking questions about our travels. It seems to me that the Japanese are very proud when they hear that locals fly around the world just to take pictures on their countryside. Of course the landscape is amazing! 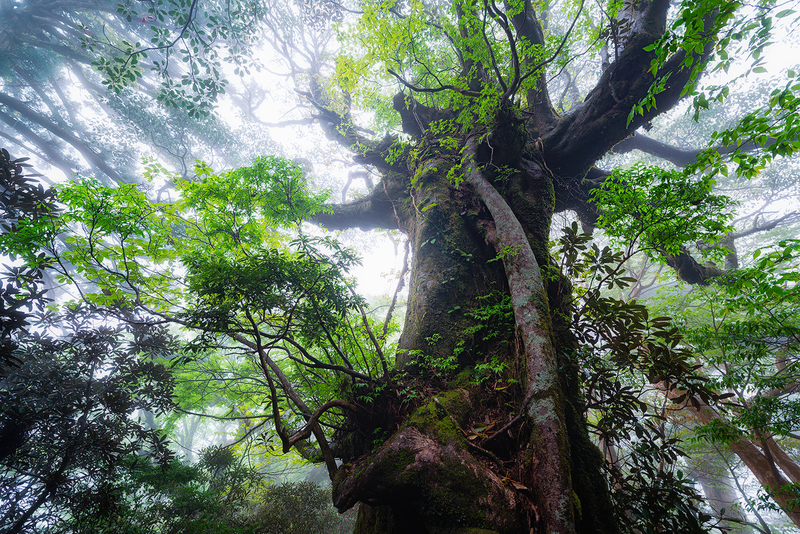 For the most part Japan is consists of forests, valleys and mountains of considerable beauty. 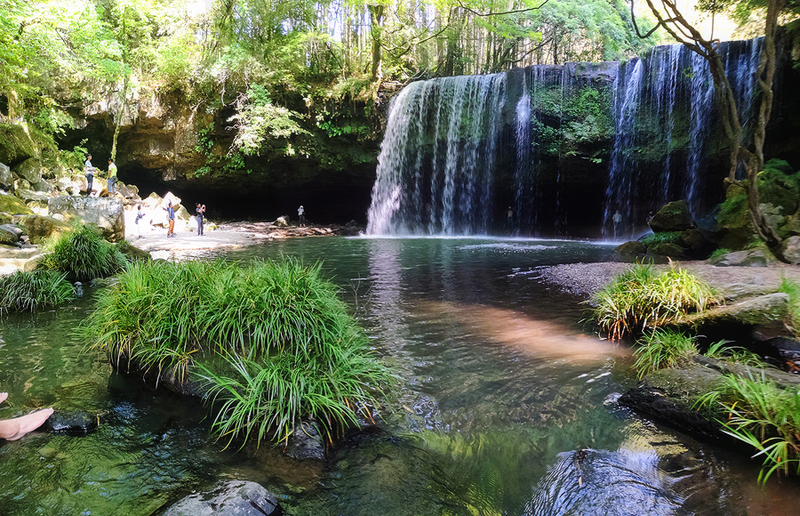 The country has countless waterfalls and summits, beaches and other landscape features well worth the long trip. You can see in some of the examples in my galleries soon. Other than that there are always the stunning urbanscapes and the great food, public baths, gaming centers, small pubs, book and electronic stores, ancient temples and castles, and oh did I mention the food?